Community Cenacolo depends and lives totally on God's Providence, which sustains us through the gifts and contributions of those who desire to help in this work of healing. We learn to live in gratitude, realizing that our joy does not depend on what we have or what we lack. We trust that we will receive what we need. We receive no government funds, nor do we ask payment of anyone living in Community. From time to time we hold fundraising events. 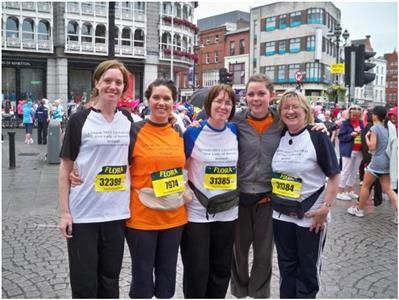 One, which has proven to be extremely successful is the Women's Mini Marathon which takes place every June. The course is 10km and we welcome volunteers to walk, jog or run on that day. When registered for the run you are given a sponsorship card to collect money on behalf of Cenacolo. If you are interested please e-mail us with your name and telephone number and we will contact you. We have also held Golf Classics, race meetings, etc. in order to raise funds and, again, welcome all the help we can get in this regard.